Among the first to arrive in Dewsbury, West Yorkshire was Ismail Vadhriwala of Hinglot, who settled there in 1956. In 1957, came Ibrahim Davi and Abdul Darvan of Karmad, Muhammad Gajra of Mahudhala, Usman Chimta of Manubar, Muhammad Karkun of Paguthan and Hasan Master of Sansrod. Ahmed Munshi and Ahmed Master of Hinglot arrived in 1959. Adam Vali Ugradar of Varedia came in 1960. He bought a house and provided lodgings to many new arrivals from the Bharuchi Vahora Patel community. Vali Bapu of Dasan and social worker Adam Davi came in 1961. Vali Munshi, Indian brothers Umarji and Adam Indian of Varedia and the Baisal family members, also of Varedia joined the Bharuchi Vahora Patels in Dewsbury. Like other textile towns, almost all the Bharuchi Vahora Patels who came in the late 1960s and the 1970s were working in woollen and textile mills. A number of mills in Dewsbury and the surrounding towns had 12 hour shift work i.e. from 6 am to 6 pm (day shift) and 6 pm to 6 am (night shift). In the late 1980s, with the manufacturing sector going down and the closure of the mills, unemployment started rising, which naturally affected the Bharuchi Vahora Patels along with other workers. This situation led Bharuchi Vahora Patels to explore other avenues, resulting in them prospering in various businesses. At the moment, in 2011, approximately 60 petrol stations in and around Dewsbury are owned by Bharuchi Vahora Patels. Three Bharuchi Vahora Patels have marketing businesses, one owns a Cash and Carry store, one owns an Indian and Continental grocery shop and four are involved in a cargo shipment and delivery business. One of the Bharuchi Vahora Patels is in the catering business supplying food for parties and weddings, not only in Dewsbury, but also in various other towns and cities. There are three sub Post Offices owned and run by Bharuchi Vahora Patels. Apart from this, four have fabric and ready-made garment shops, six have mobile phone outlets, five have newsagent’s shops and one has a travel agency. 15 of the Bharuchi Vahora Patels are decorators, electricians and plumbers. Among the Bharuchi Vahora Patel professionals are: two barristers, one dentist, three doctors, one optician, six pharmacists and one solicitor. Bharuchi Vahora Patels have established four masjids and madrasas in Dewsbury and they have made a significant contribution in the establishment of the Tablighi Markaz, which is now the headquarters of the Tablighi Jama’ts in Europe. Initially, Maulana Yaqub Qasmi of Kavi, was the leading figure in this project, providing guidance and direction to the Tablighi activities. 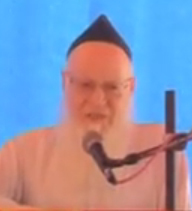 Maulana Yaqub Qasmi is a learned scholar, well known and well respected among the Muslim community of Britain. 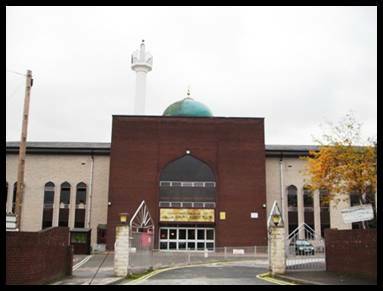 The people in Yorkshire and Muslims in general have benefited immensely from his religious lectures, tafsir (explanation and interpretation) of the Holy Qur’an, discourses on Hayatus Sahaba or Lives of Companions of the Prophet Muhammad (peace be upon him) and well researched writings about the sighting of the new moon and the times of prayers. He is the co-author of “Prayer Times for United Kingdom and Ireland” published by the Islamic Research Institute of Britain, Dewsbury. He has founded the Islamic Shariah Council and, with his experienced team of other learned Islamic scholars, provides useful guidance in matters of separation, talak (divorce) and other marital and social issues to Muslims throughout Britain. Bharuchi Vahora Patels take an active interest in the local council and national elections. Some contest elections as Labour candidates, while some others as Tory and Lib-Dem candidates. Currently Salim Abdul Majid of Paguthan is a Conservative councillor and is engaged in various social activities.